Infections are one of our most frequent calls, and frequently these infections are downloaded through vulnerable plugins. 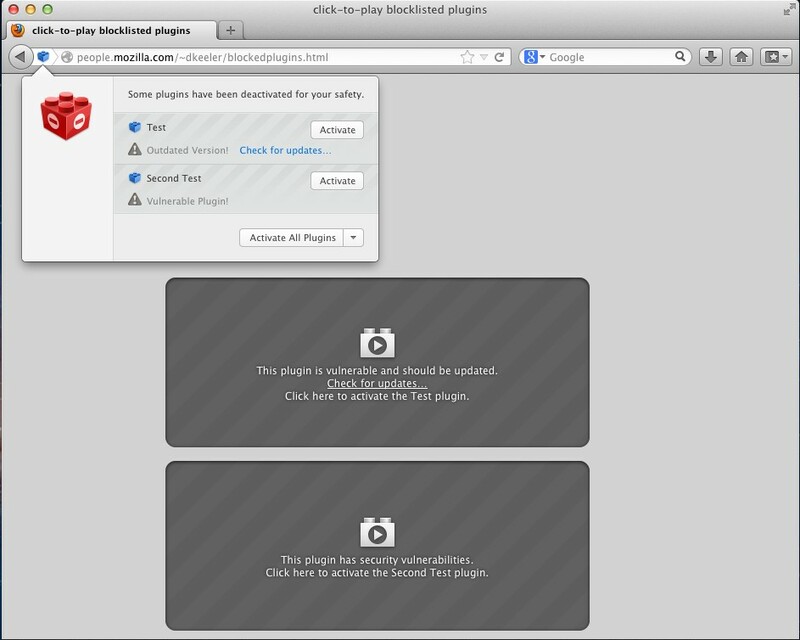 Firefox has now released version 17 of their browser, which includes “Click to Play” windows for plugins like Java and Flash. This alerts you if your plugin is outdated and should be updated. It also gives you the option to view the content using your old plugin if you trust the source. This is a great unobtrusive way to remind people that updates are very important. Remember to stay updated to be safe from spyware infections.